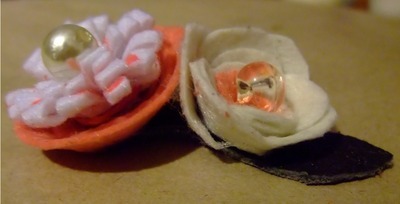 This is a great way to decorate a brooch or headband with small & delicate flowers made from felt & leather. Cut out swirl pattern in a small piece of felt. Gradually turn it in to make a flower. 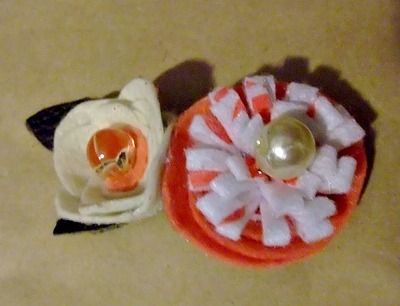 Secure with hair pin and glue under the felt flower with craft glue. To make the centre of the flower, cut a small strip of felt about 1 inch thick, fold it in half and cut into it along the fold. Gradually turn it in. Tie with elastic band, add craft glue and leave to dry. Cut scrap of leather to look like leaves. 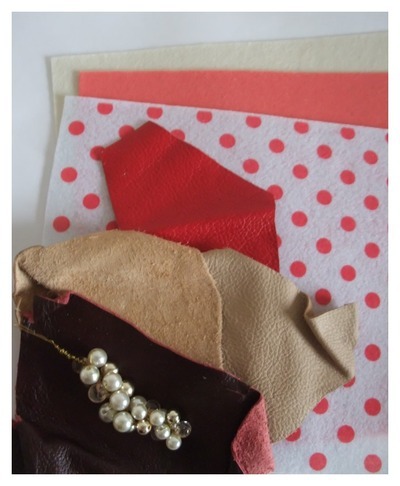 Glue craft pearls to the centre of your felt flowers, then glue to leather. Glue leather onto brooch pin.